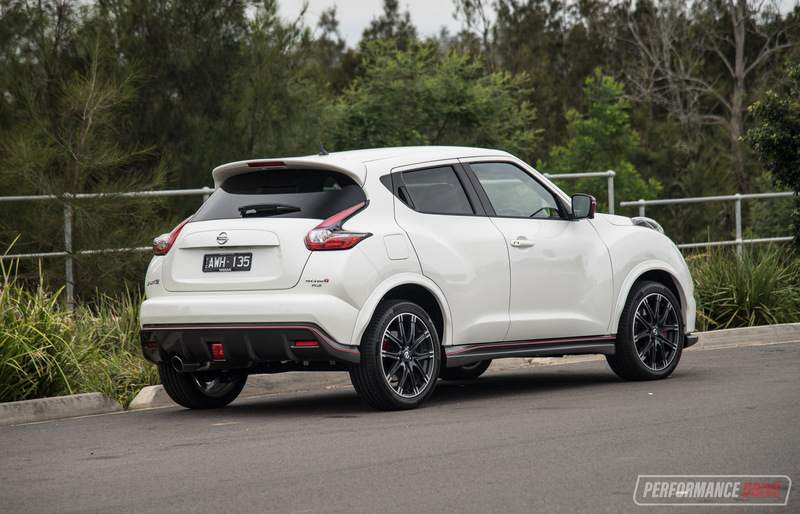 Welcome to the third Nismo model in Nissan’s Australian lineup. It might not hold as much street cred as its brothers, namely the 370Z Nismo and the mighty GT-R Nismo. 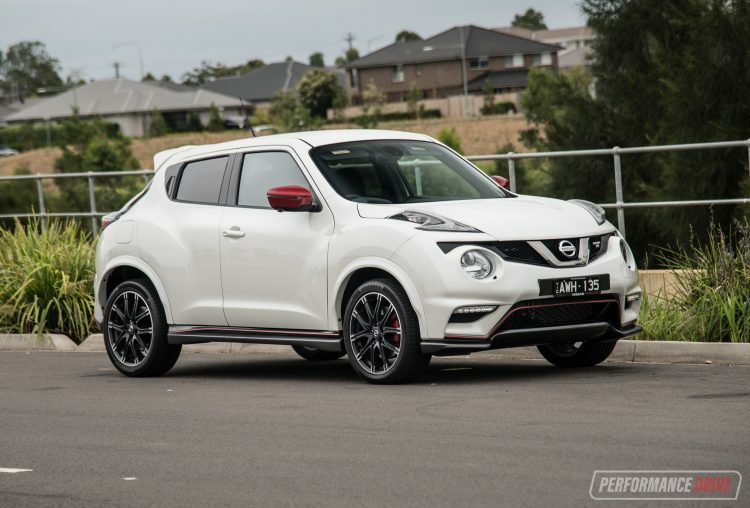 But make no mistake, the Juke Nismo RS is pitched as a pretty serious contender in the increasingly popular small SUV market. 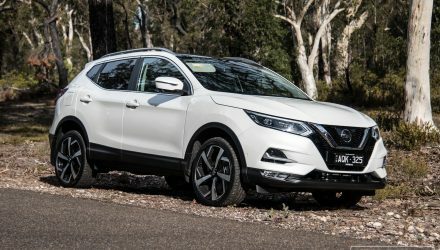 Nissan could be onto something here, as the small SUV market is the fastest-growing segment of all SUV classes. 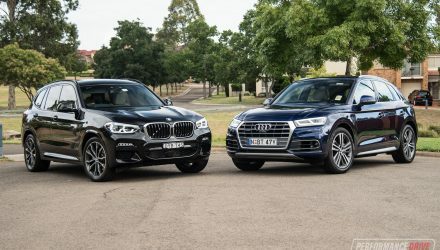 During 2018 in Australia, small SUV sales (premium and non-premium) rose by 18.4 per cent, more than any other SUV segment. This means there should be demand for such a vehicle. 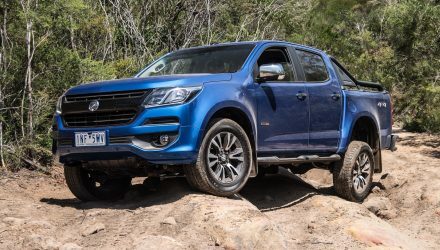 Australian car buyers love a good special edition too, especially a sports model. 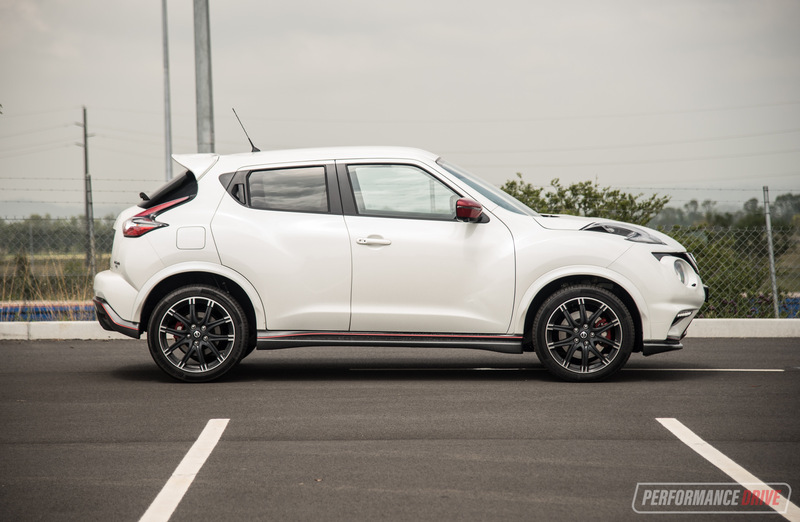 And at the moment, the supped-up Juke sits in the segment with no direct competition. 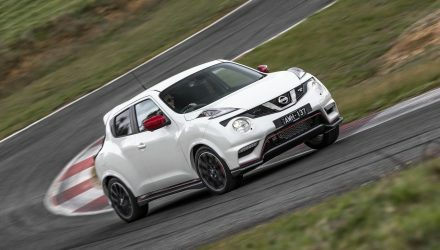 The local arm is offering two versions of the Nismo RS, including a six-speed manual which sends power to the front wheels only, and a CVT auto version which gets all-wheel drive. 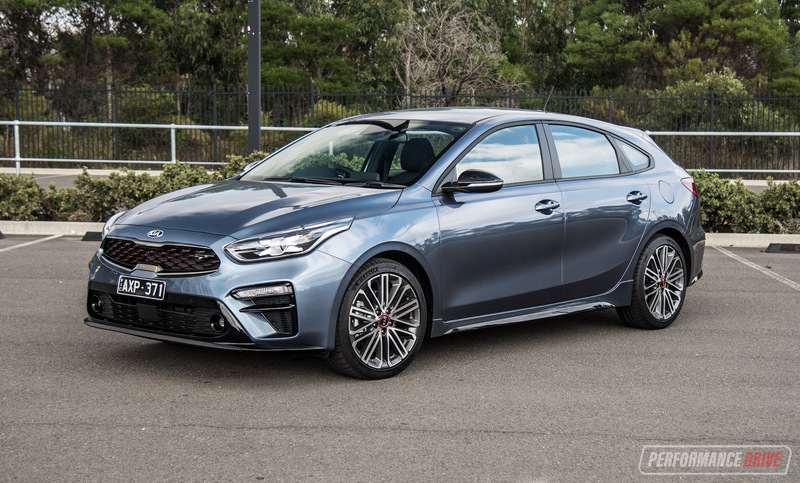 We find this strange as we think it should be the other way around; the manual should get the all-whee drive grip while the CVT auto could stick with front-wheel drive. Prices start at $37,790 for the manual and from $41,490 for the auto (excluding on-roads). Just 240 examples are up for grabs, which makes it a very exclusive package for the segment. This isn’t just a sticker pack. 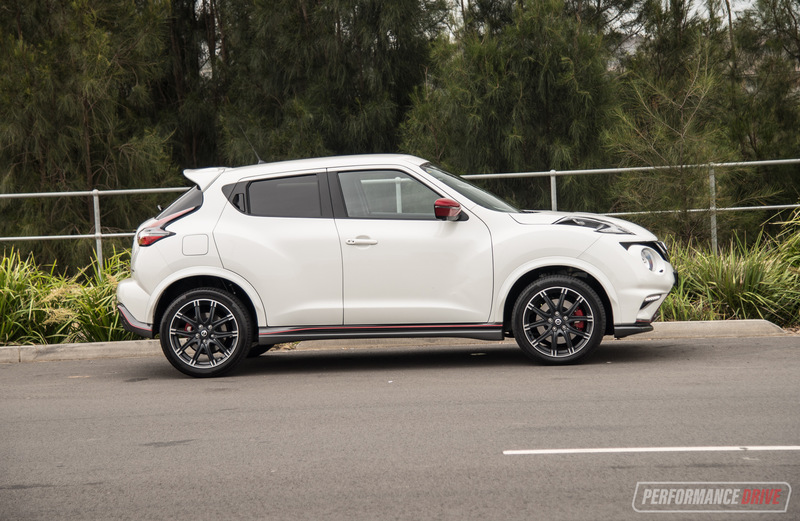 Nismo has applied plenty of its heritage to the Juke, inside and out. 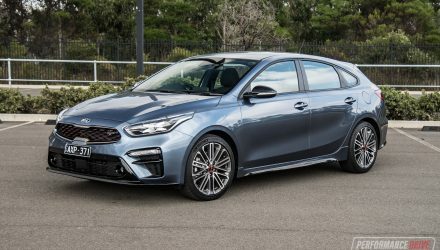 Starting with the outside, you’ll probably notice the complete bodykit with bespoke front and rear bumper bars, side skirts, and a rear spoiler. There’s also a Nismo front grille, rear diffuser, and side mirrors, along with dedicated badges. 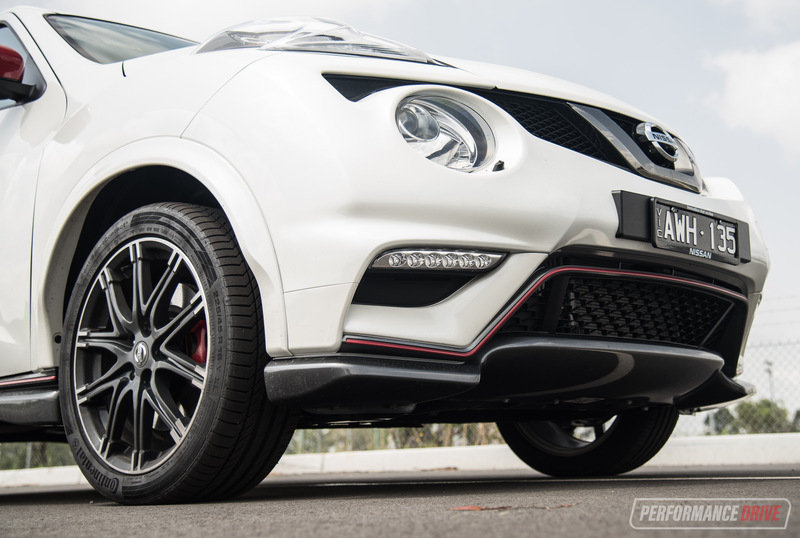 A set of Nismo 18-inch alloy wheels complete the look. Does it work? Well it definitely stands out. You won’t miss it in a carpark, put it that way. 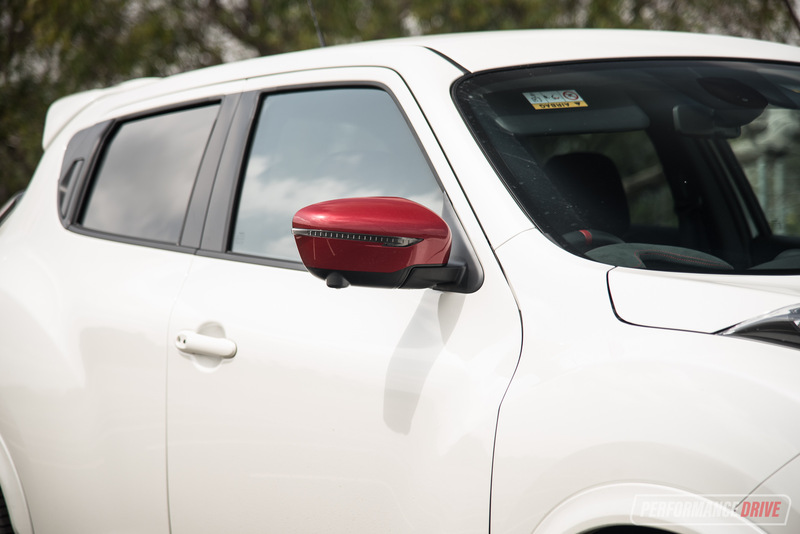 But then again, the Juke has always attracted attention for it looks, positive and negative. We don’t like the stretched headlights which you can actually see from the driver’s seat, or the short rear doors which hinder access. We also think it’s a bit over-designed, the Juke in general. However, in Nismo guise at least it has some aggression and energy to it with the extra aero, and red and dark highlights. 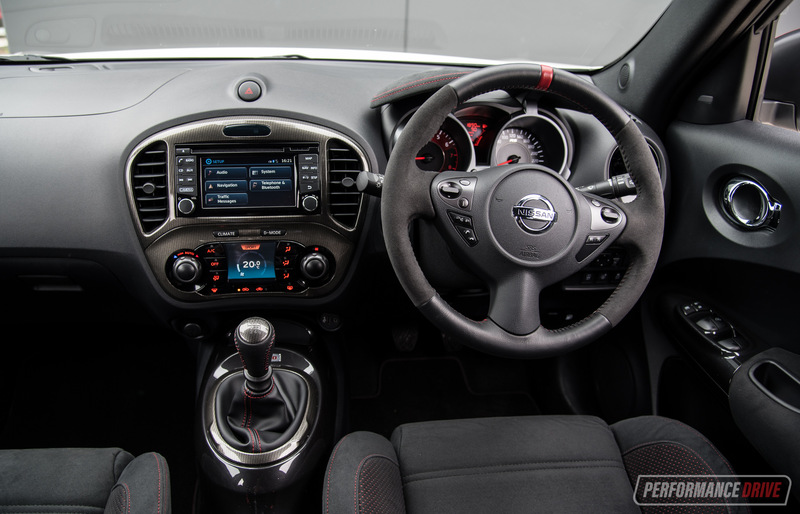 Some enhancements are made to the interior, with Nismo sports seats wrapped in suede, a matching steering wheel, and unique gear shifter. 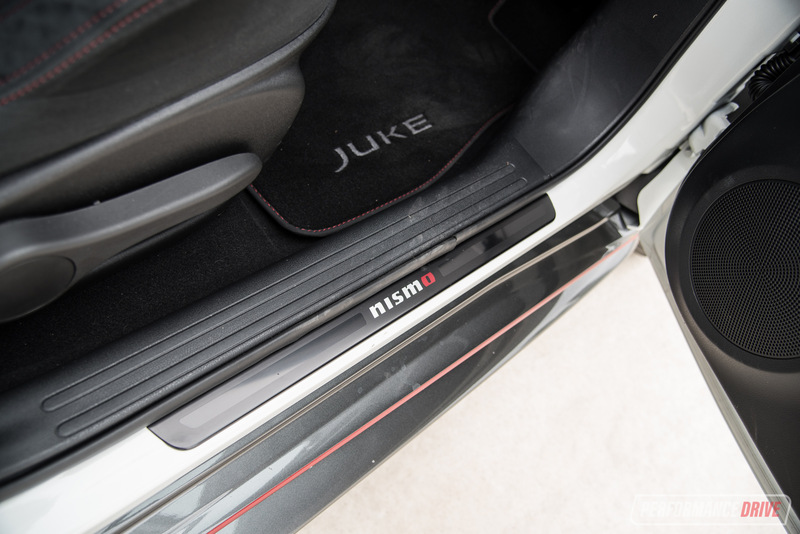 Faux carbon fibre is used for the dash fascia and centre console for that racy aspiration, and red stitching holds most of the materials together. 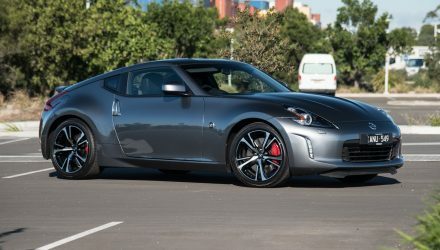 It’s all tastefully executed and doesn’t come across as overdone, for a Nismo vehicle anyway. In terms of the practicality and equipment, it does fall behind some of the rivals. 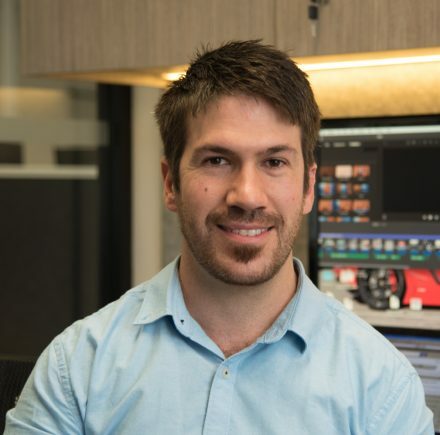 The 5.8-inch touch-screen media system is too small by today’s standards, and the operating system and ‘apps’ are well behind the current market expectations. 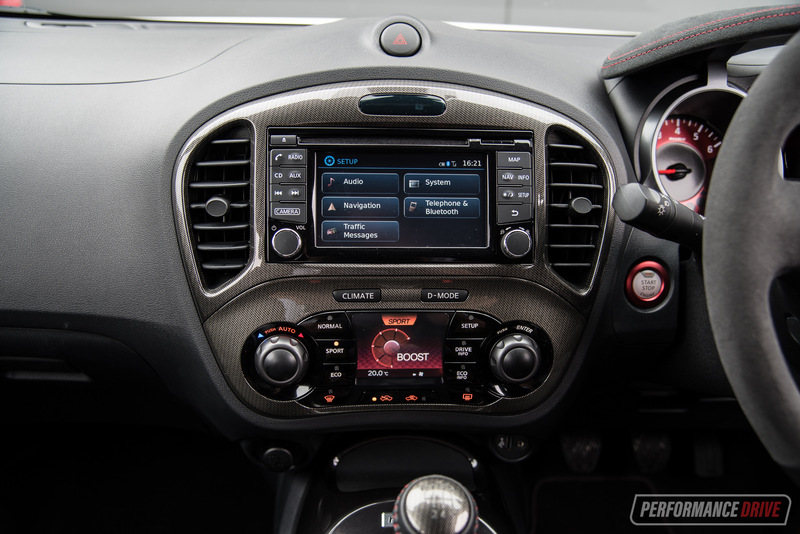 A secondary screen mounted below doubles as the climate control and the drive mode select system, which is pretty clever and space efficient. But the graphics aren’t the best and the colour palette is limited. Seating comfort is pretty good in the front, with the Nismo seats doing well to cuddle you in the corners. The material also feels nice. However, the driving position is a little off in our opinion and the steering column lacks adjustment. We also think the space in the front can feel confined. 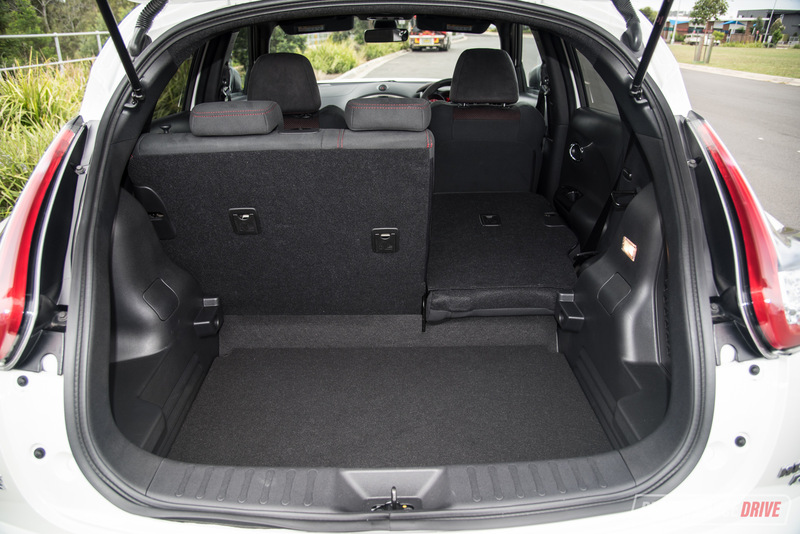 Rear seat space isn’t much better, with a narrow door opening requiring some yoga skills to get in and out. Legroom isn’t too bad for this class specifically, but headroom does suffer a bit from the petite external proportions. 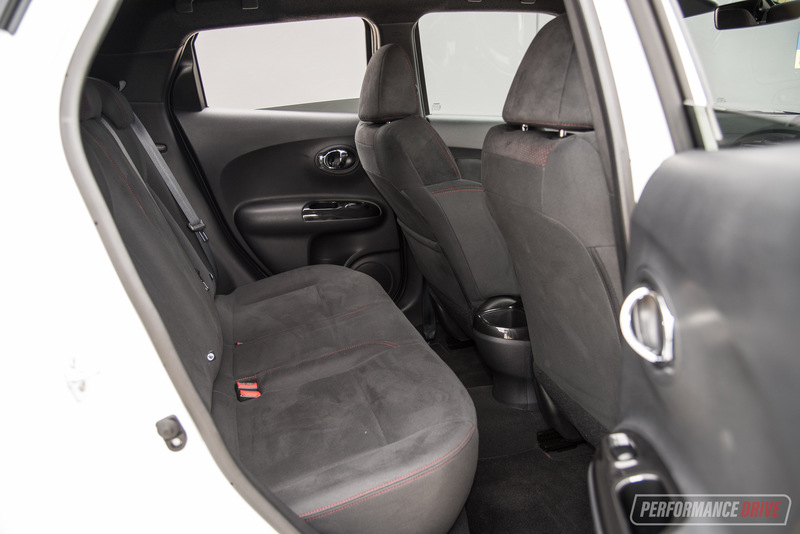 Some rivals offer pretty poor boot space, but the Juke isn’t bad, with 354L. 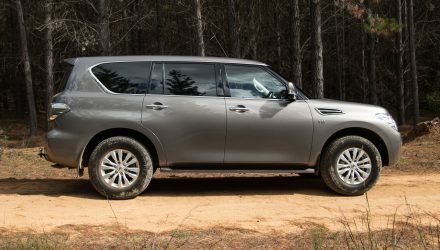 There’s also a dual-level boot floor for added versatility. 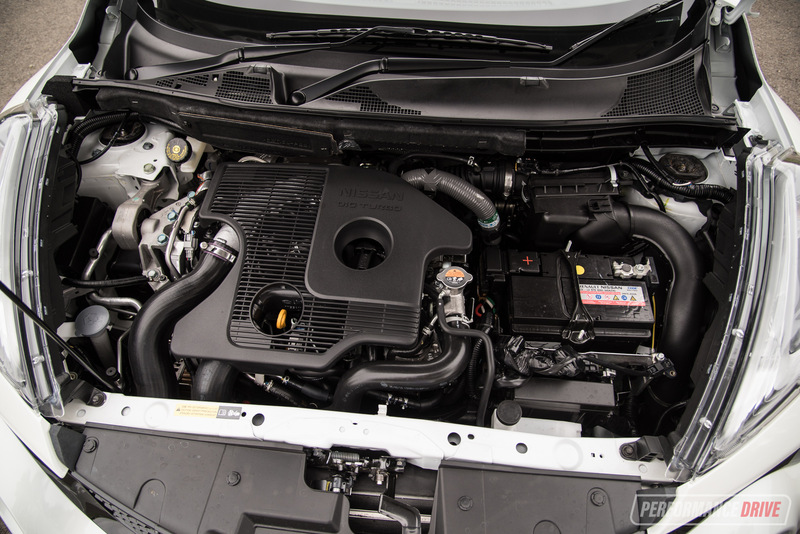 Power comes from a lightly tuned 1.6-litre turbo four-cylinder petrol engine. 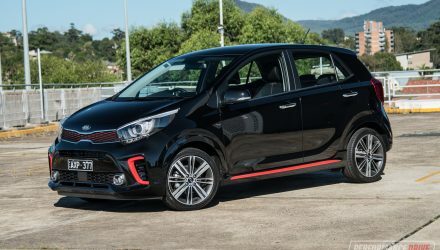 It produces 160kW and 280Nm in manual form, and 157kW and 250Nm with the CVT auto. Again, we think this is the wrong way around. The more powerful unit should get all-wheel grip. 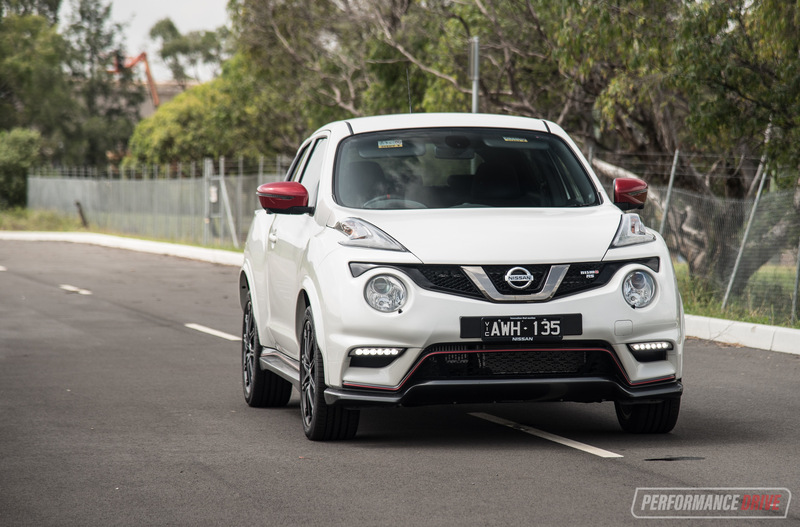 Nonetheless, the outputs are up from 140kW and 240Nm in the regular Juke Ti-S turbo variant. Increases come thanks to Nismo ECU tuning and a redesigned exhaust system with larger diameter piping and revised muffler. 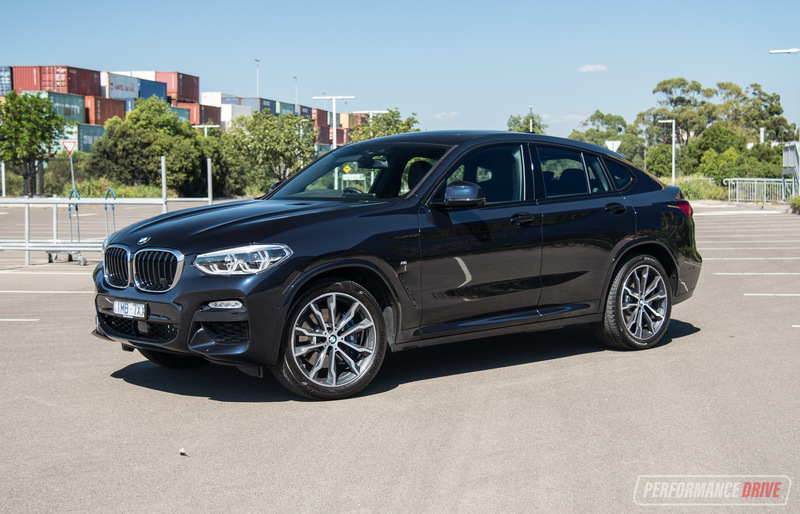 At this level of power, it becomes the most powerful SUV in the class. What does it mean out on the road? It means it’s pretty fast. 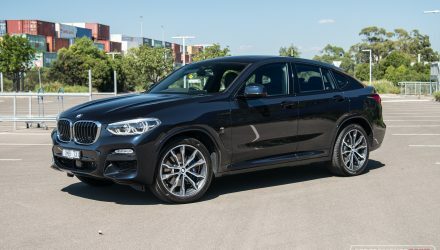 We would have liked to test the AWD version as well, but the best 0-100km/h we could manage with the Vbox was 7.28 seconds. There is a standard helical-gear limited-slip differential for this FWD model, but with more grip we have no doubt it could perform even better. In terms of economy this manual version is rated at 7.2L/100km on the official combined cycle, while the AWD automatic is rated at 7.3L/100km. It’s a pretty small sacrifice, and perhaps adds more of a case to go for the AWD version. During our week of testing the trip computer gave us an average of 8.5L/100km. 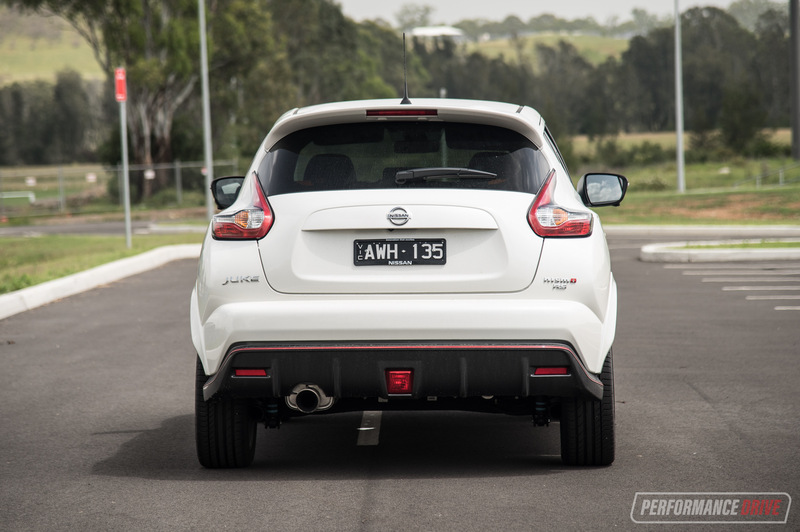 The Juke has always been a very rigid and darty little thing. 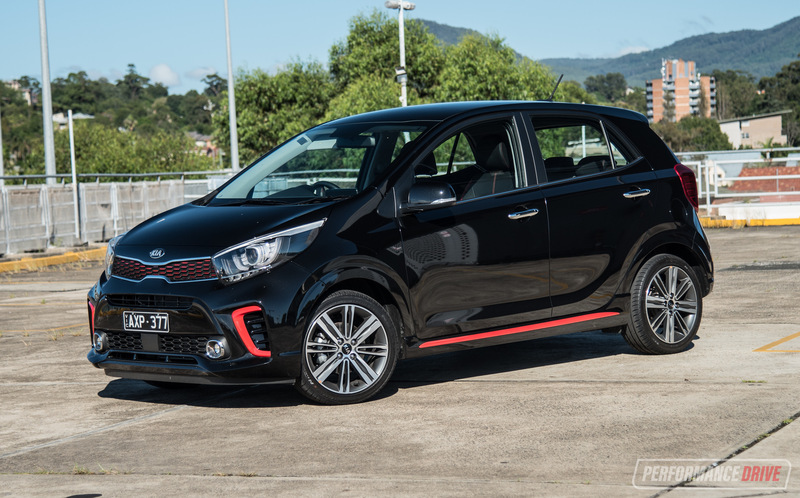 It points into corners like a micro hot hatch, showing impressive agility. 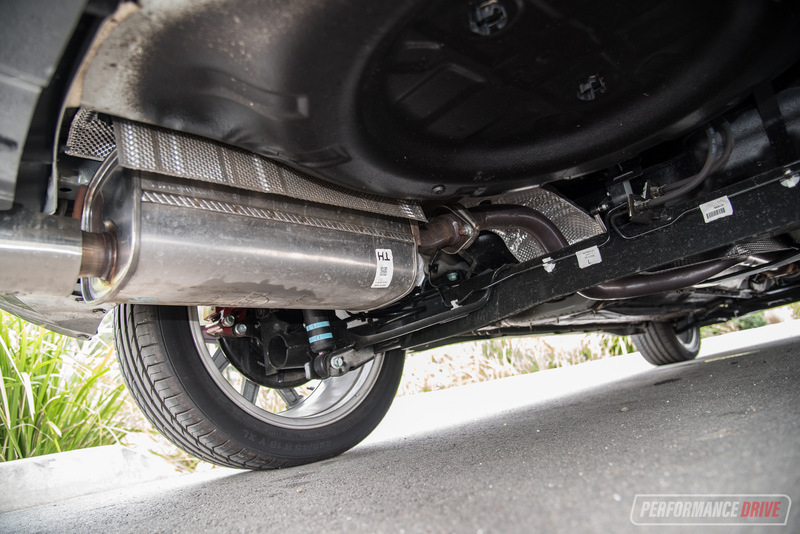 However, the regular Ti, we thought, always featured suspension that was far too firm for what the car is primarily designed for; running around the city. Interestingly, the Nismo RS gets a bespoke suspension package which we think is much more compliant over bumps, with a smoother ride overall. Nismo has retuned the dampers and spring rates, and made reinforcements to the front transverse link setup, while the ride height is also lowered. Nissan says this was done without compromising the comfort, or noise and vibration and harshness (NVH) levels. And we agree. It’s a good ride and it actually feels like there’s a touch more body roll than the regular Ti-S, in a good way. The driving character seems more playful, and some revisions to the steering seem to have helped with engagement. 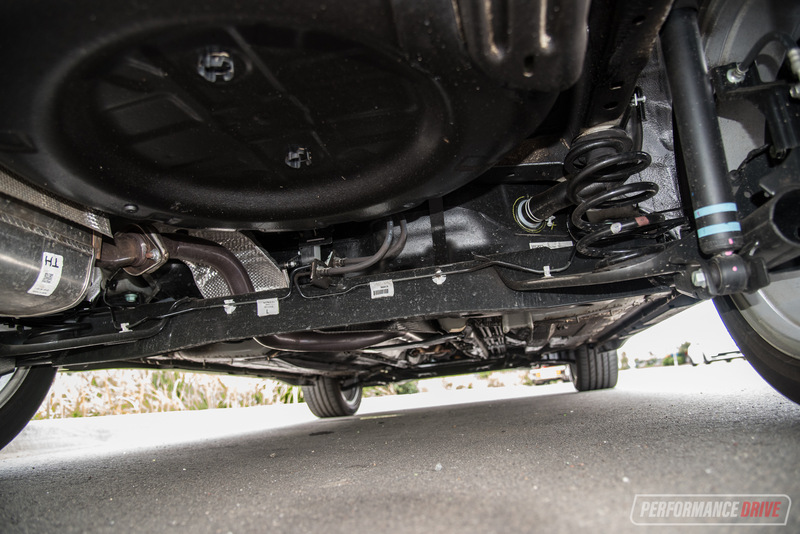 Going for the front-wheel drive manual option means you’re left with a fairly basic torsion-beam suspension setup at the rear, as opposed to the more complex and more dynamic multi-link system on the AWD models. Around long sweeping bends that are peppered with surface imperfections, you do notice the rear end bob around a bit. 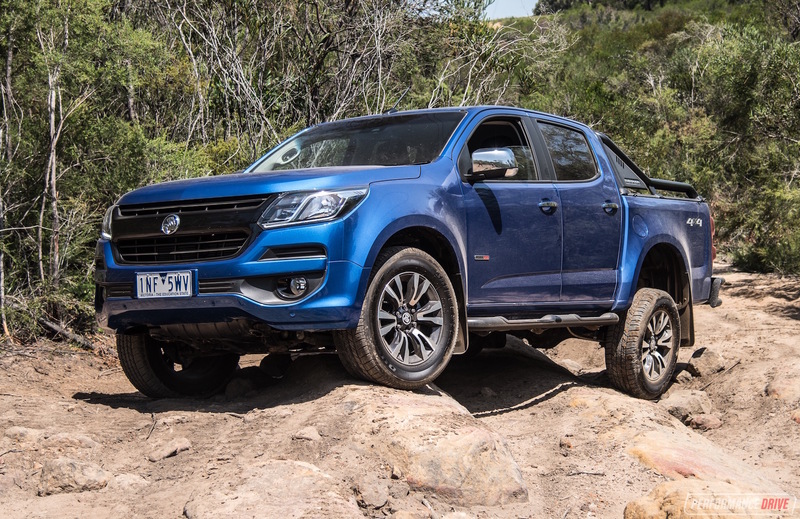 Stability would no doubt be higher in the AWD, and not just from the added traction but also the more sophisticated rear end. Despite all of the Nismo enhancements, we don’t actually find that it’s a very rewarding drive. It’s not much fun, which is a bit of a shame. We think it has a lot to do with its age; the Juke has been around now in essentially the same form since 2011. Yep, the boost gauge is mildly exciting to watch, but there’s no actual measurement in psi or bar or anything, and yes swinging the manual shifter is interactive but the clutch pedal feel isn’t pleasant. It feels like it uses a second-hand cable mechanism. 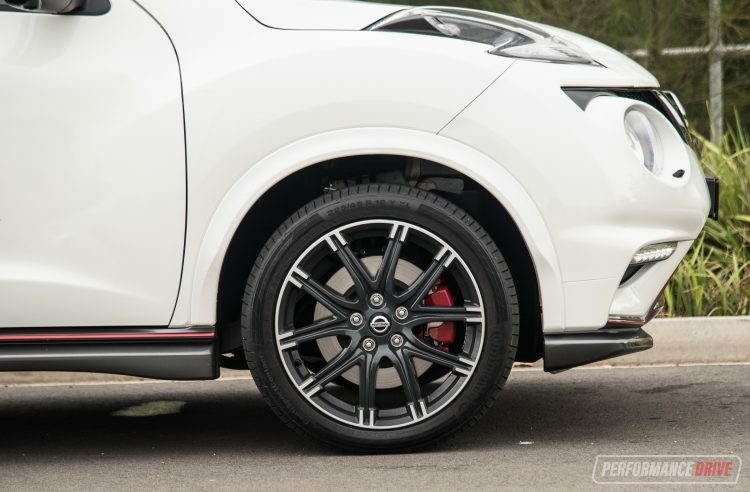 Nismo has spent some attention in this area, adding a strengthened clutch cover and dual-mass flywheel, but it still needs work in our opinion, on feel alone. We think it’s a case of being too late to the party. 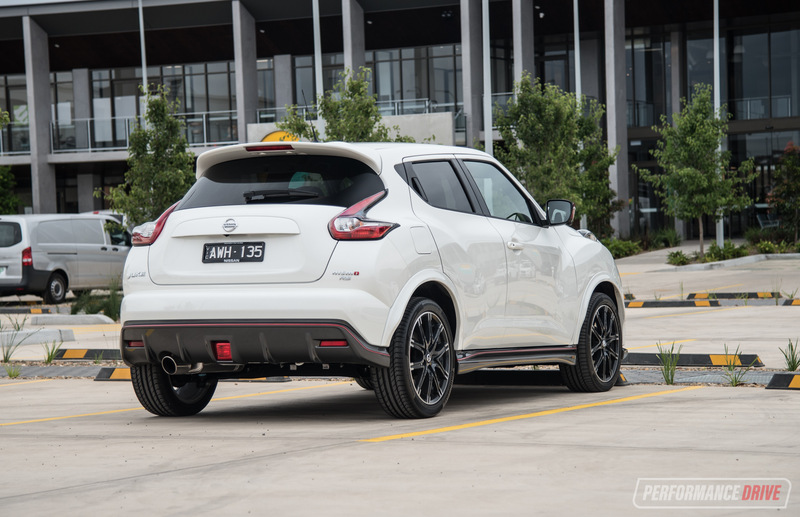 If Nissan Australia launched this during or soon after the initial debut of the Juke back in 2011, it would be an exciting little SUV. But in today’s market, it does feel a bit aged and some of the interior technologies are beyond their used-by date. We do like the Nismo-tuned suspension. 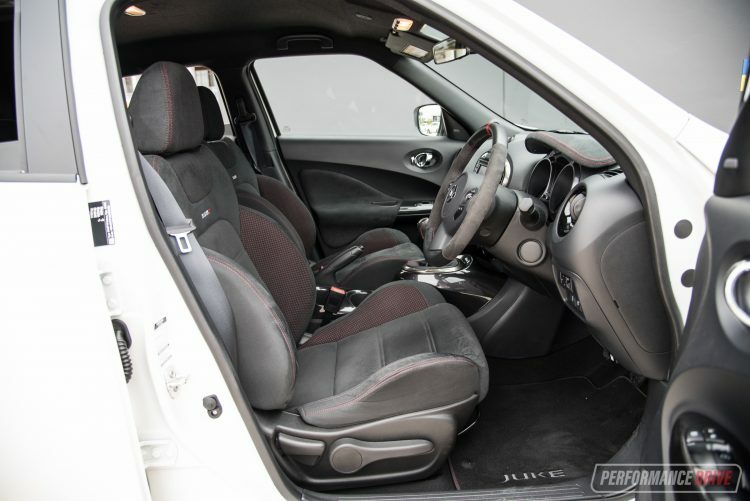 It seems to help smoothened out the otherwise fidgety ride in the regular Juke. It also looks pretty racy with the red highlights and aero kit, and the engine is unquestionably powerful for this class. However, overall there are more appealing options in this space at the moment. 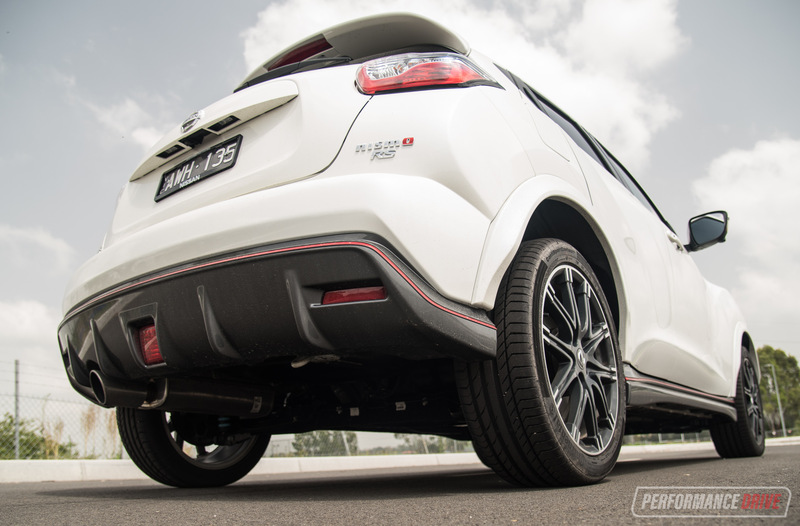 – Nismo brand heritage, adds some street cred?